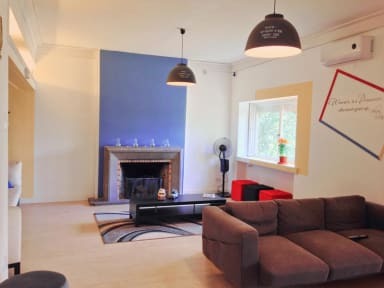 F3 is a very cosy family run hostel located in the heart of Cascais city. Our location allows you to do literally everything by walking. Beaches, city centre, train station, snack bars, pubs, supermarket, everything you need.Looking for adventures.You're also in the right place. Private and group Surf classes are available. Want to know the secrets of Sintra parks from a different perspective with an ecologic walking. Looking for a different point of view of Cascais, come and climb some rocks with us. If needed transfer from the airport, we have certified partners to pick you up anytime. Small groups city tours or even a customised one if you want. All our rates include a delicious breakfast already. Welcome to F3 Hostel. We are located in the main avenue of Cascais,very close to the city centre. We are at 5 minutes from the train station and only 8 minutes from the Cascais bay.Mini Markets, cafes, beaches and a small shopping mall nearby. 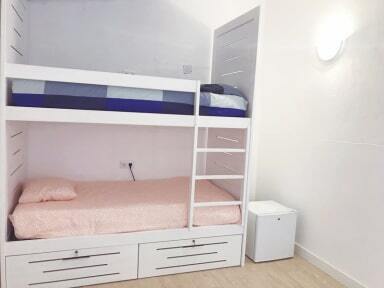 We have three shared dormitories and private rooms. Our private rooms have air conditioners/heaters, cabinet, mini fridge, private bathroom, free towels, welcome drink (Portuguese wine and water)and Flat TV. The Big family suite has also microwave and three additional beds. We do have a suite fully adapted to reduced mobility guests. We also offer a crib for the little ones. We have daily clean service in all the rooms.